Guinea pigs are popular pets, especially for families, largely due to their wonderful temperaments. They are social, keep a daytime schedule, and rarely bite, even when they are stressed. Guinea pigs do need a large cage and opportunities to exercise outside of the cage as well as a diet that provides adequate vitamin C and roughage. Guinea pigs weigh about two to three pounds, come in a variety of colors, are very social, can live up to 10 years old, and make great pets for children and adults alike. Learn some facts about guinea pigs and what you need to consider before choosing a guinea pig as a pet. Did you know there is a hairless variety of guinea pig? There are actually about a dozen different breeds of guinea pigs, all of which can be categorized by their hair, or lack thereof. Learn more about texels, coronets, Baldwins, and more. Guinea pigs need a lot more room to run around than most people provide them with. Large cages can be purchased online or in a pet store or a custom enclosure using small fencing or pens can be created to give your cavy plenty of space to run around safely. But, even if you have a large cage, do not forget that your guinea pig will love some time to roam about freely. Guinea pigs use the bathroom wherever they please so you will need a bedding that is absorbent but does not harm to your pet. Wood shavings used to be popular, but more information on how they can harm our pets has been discovered over the years, especially with cedar shavings. Popular choices include fleece, which can be purchased from a craft store and then washed and reused when it gets dirty, and various kinds of paper-based small animal bedding. Vitamin C is the key ingredient in a guinea pig diet. Like humans, guinea pigs cannot make their own supply of vitamin C to meet their daily needs, so it must be supplied for them. Guinea pig-safe vitamin C supplements and special guinea pig pellet food are fortified with vitamin C to help meet this nutritional requirement. Also, guinea pigs need a large amount of roughage, such as timothy hay. Stay away from sugary treats and seeds which can cause gastrointestinal issues. Should you bathe your guinea pig? How do you trim guinea pig nails? 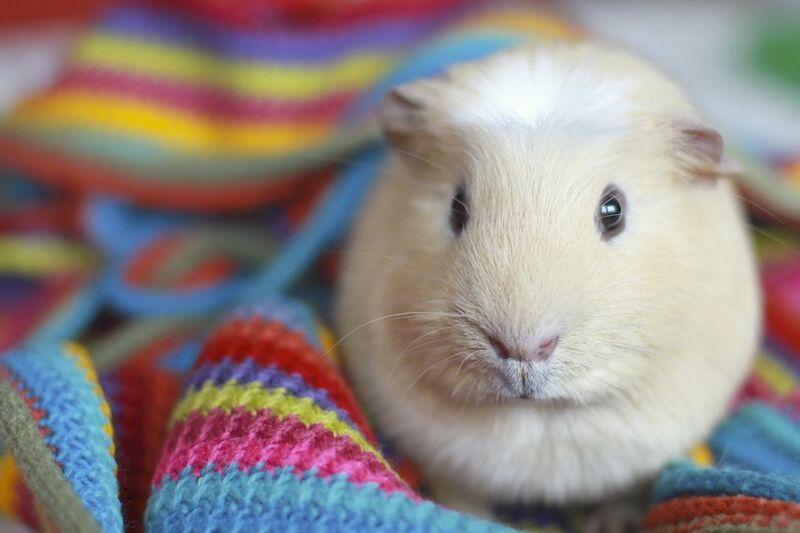 Find out how to groom your guinea pig and what shampoo you can safely use on your cavy. Do not worry, you do not need to brush your guinea pig teeth, but you do need to pay close attention to them. Guinea pig's teeth grow continuously throughout their lives and due to various reasons, they become overgrown. Overgrown teeth can cause your guinea pig a lot of pain and they may stop eating. Their teeth can be trimmed or removed but hopefully, this never needs to happen to your pig. Some people find naming their pets incredibly difficult. Thankfully there is a huge list available if you need a little help in this department. Find that perfect name for your new guinea pig or check to see if your pig's name made the list.